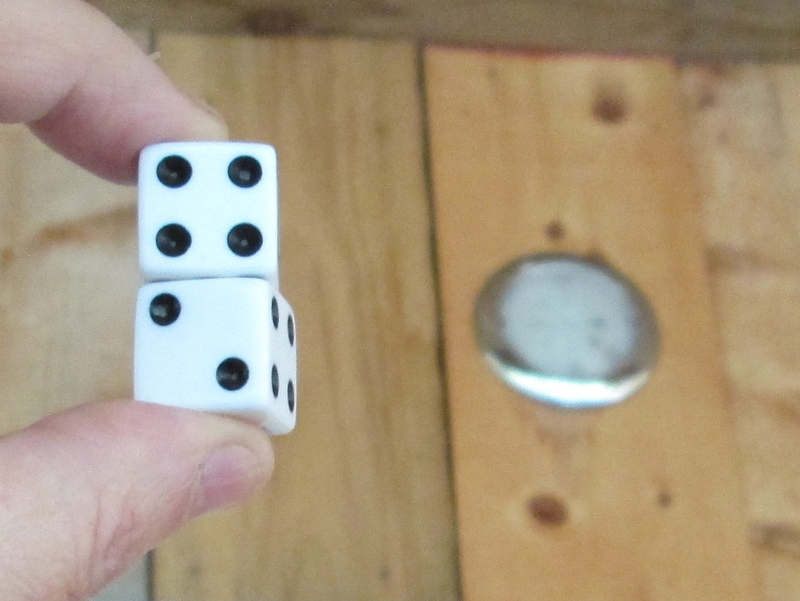 Pair of dice by the cloth porch light. A little too long in the forest perhaps? Seriously though… it is cold today. My friend G, Hj, Sister A and B were over too – we had a frosty lunch on the porch together and were glad to back in the house where it was warm! We have had a little rain and even some hail. Come on back warm weather! You are braver than I was today. We had some light snow, hail and now its pouring, where is summer? Luckily I was not drinking anything when I read that for it would have spewed all over the laptop. Thank you for the very big laugh, still chuckling away!